I have a friend who lived in Japan for a year. When planning the way from the airport to the hotel, I asked for her opinion. And she confirmed that the train would be the best choice, avoiding the traffic and the very expensive taxi ride. She also advised me that the subway would be the key transportation during my days of work. I landed at Narita Airport at around 4:30pm. With the help of my friend, we realized that the best option for me, due to the location of my hotel, was the Airport Limousine bus service. Traffic would definitely be a problem, but regardless the duration of the trip, I would pay a flat rate. The Airport Limousine bus service offers several routes to different neighbourhoods in Tokyo – main hotels or important areas. You can easily check the routes in their website. If your hotel is not on the list (mine wasn’t), you can still take the Limo to the closest stop and take a taxi from there (or even walk, depending on the distance and quantity of luggage you are carrying). The taxi fare during the day starts at JPY 730 (flat rate for the first 2 kilometers). If you want to be a bit more adventures in your first trip, you can try one of the train lines serving the airport – click here to find the list of lines servicing Narita Airport. You can take the train to the main stations, and from there transfer to the appropriate line that will take you to your hotel (or take a taxi from the station directly to your hotel). Inside Narita Express – trip back to the airport by train. 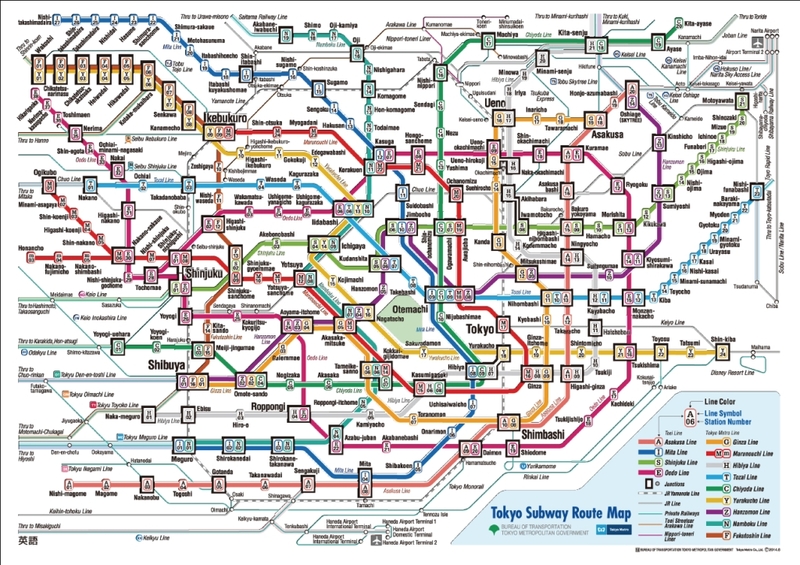 Tokyo Subway Map – map showing the main lines. * For a better quality map, please download the PDF version here. Impressive, right!? I was overwhelmed when I saw it for the first time and tried to plan my commute. But with patience, perseverance and time, you will naturally start mastering the art of getting from one point to the other by subway. And if like me you enjoy trains and subways, prepare to be amazed! You can go anywhere (or almost anywhere) by train. Another cool thing is that the local population use the subway as their main way of transportation going to and from work, school, shopping, etc. Inside Nagatacho Station – one of the station in the Tokyo Metro system. Part 4 – Getting out of the station – Yes, this is not as easy as you would think (click here to see the published post). I hope all the tips I will share will be helpful. Stay tuned and enjoy! – Tokyo’s population is estimated to be 13.1 million, representing around 10% of the total population in the whole country (numbers from October 1, 2011). It is considered the most densely populated area in Japan with 6,029 persons per square kilometer. You can learn more here. – The passenger’s door on the left side (rear) is operated by the driver. You will see that in most taxis in Tokyo. You do not need to open or close the door. 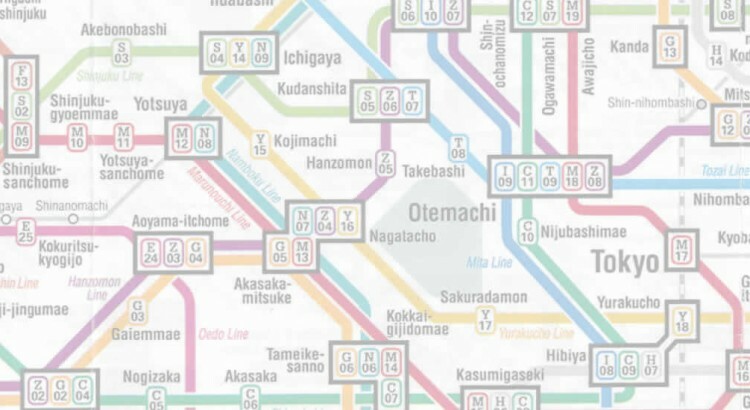 – Multi-language versions of the subway map are available on their website. Click here to download the available options.